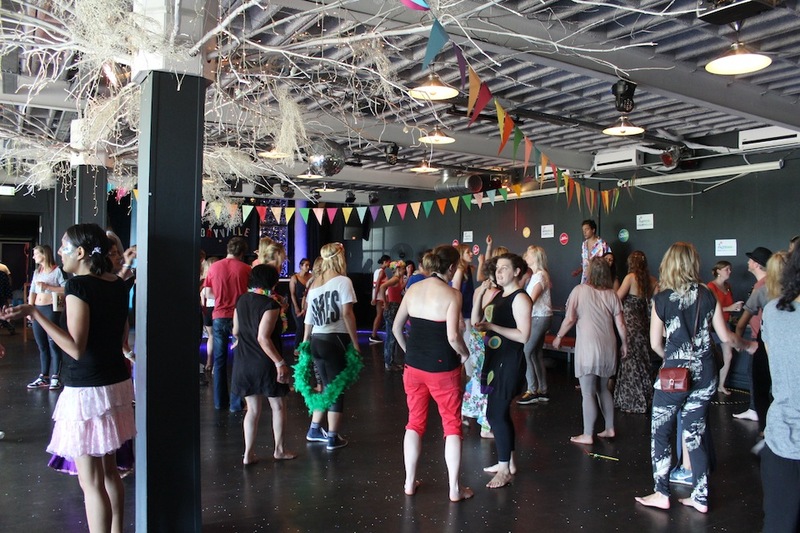 Morning Gloryville is the coolest thing to happen to breakfast since sliced bread. When a friend first told me about the concept, I was a bit skeptical. I’m not a morning lady and often hit the snooze button (three, four, five times) every day. I therefore had no interest in rising at the ungodly hour of 6.30am to dance at a chem-free rave. But then I saw that there were free hugs at Morning Gloryville . . . 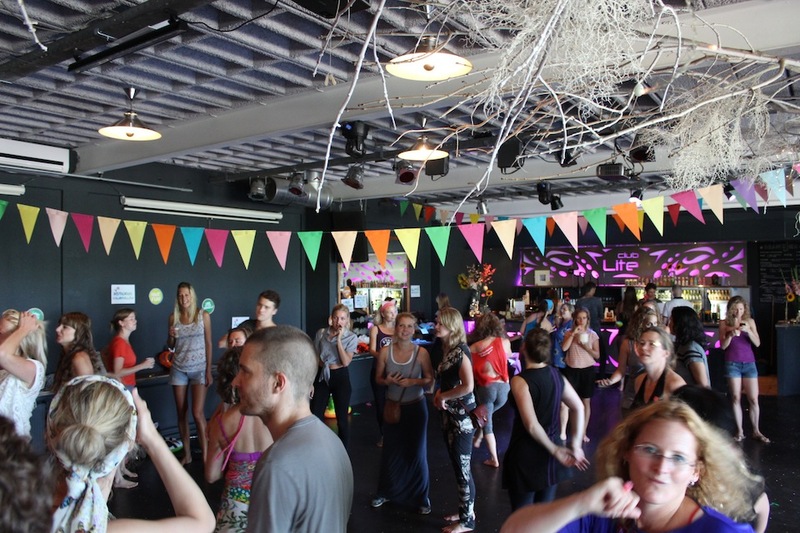 If you’re interested in joining in at Morning Gloryville, I just might see you there! You can find the next event poster here – Morning Gloryville Rave your way #3. 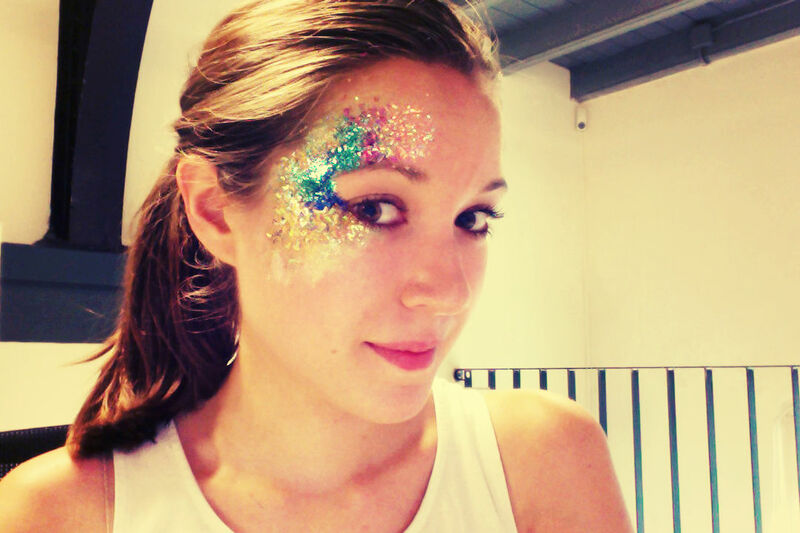 Looking so cute with the glitter! That sounds fun! But yeh 6:30 am? eek! wow… I love this. I have to go to amsterdam next week to pick up my passport, maybe I will set the alarm for 5:30 and hit this rave before the consulate ;-) hehehe, no but really, it’s stuff like this that make amsterdam so cool. wish i lived there ..
Another great article – what a unique style!